Was there significant prebiotic oxygen? Was the prebiotic atmosphere reducing? Is the definition of homology circular? What are the implications if moths rest most often underneath branches? What is Icons really about? In other words, Wells argues that the specialists know about the problems in their field of expertise, but that everyone thinks that the evidence supporting evolution is somewhere else. This is just plain false, as we shall see -- the experts in each field have explicitly stated that the evidence in their field supports evolutionary theory, and further they have supported their statements with evidentiary arguments. If Wells' contention about the experts is false, then Wells' argument collapses. Wells likes asking questions; it is now time for him to answer some. A key question in origin-of-life research is the oxidation state of the prebiotic atmosphere (the current best guess is that the origin of life occurred somewhere around 4.0-3.7 bya (billion years ago)). Wells wants you to think that there is good evidence for significant amounts free oxygen in the prebiotic atmosphere (significant amounts of free oxygen make the atmosphere oxidizing and make Miller-Urey-type experiments fail). He spends several pages (14-19) on a pseudo-discussion of the oxygen issue, citing sources from the 1970's and writing that (p. 17) "the controversy has never been resolved", that "Evidence from early rocks has been inconclusive," and concluding that the current geological consensus -- that oxygen was merely a trace gas before approximately 2.5 bya and only began rising after this point -- was due to "Dogma [taking] the place of empirical evidence" (p. 18). None of this is true (see e.g. Copley, 2001). Certain minerals, such as uraninite, cannot form under significant exposure to oxygen. Thick deposits of these rocks are found in rocks older than 2.5 bya years ago, indicating that essentially no oxygen (only trace amounts) was present. On page 17 Wells notes that uraninite deposits have been found in more recent rocks, but neglects to mention to his readers that these only occur under rapid-burial conditions, whereas ancient deposits of uraninite occur in slow deposition conditions, for example in sediments laid down by rivers, so that the minerals were exposed to atmospheric gases for significant periods of time before burial. 'Red beds' are geologic features containing highly oxidized iron (rust) indicative of high amounts of oxygen. Wells (p. 17) notes that red beds are found before 2 bya, but fails to mention that the temporal limit of red beds is just a few hundred million years before 2 bya. Wells doesn't even mention the evidence that banded iron formations (incompletely oxidized iron indicative of ultralow-oxygen conditions) are very common prior to 2.3 bya and very rare afterwards. Wells also doesn't mention that early paleosols (fossil soils) from about ~2.5 bya contain unoxidized cerium, impossible in an oxygenic atmosphere (e.g., Murakami et al., 2001). Finally, Wells doesn't mention to his readers that pyrite, a mineral even more vulnerable to oxidation than uraninite, is found unoxidized in pre-2.5 bya rocks, and with significant evidence of long surface exposure (i.e. grains weathered by water erosion; e.g. Rasmussen and Buick, 1999). Why does Wells leave out the converging independent lines of geological evidence pointing to an anoxic early (pre ~2.5 bya) atmosphere? Was the prebiotic atmosphere reducing? Are the Miller-Urey experiments "irrelevant"? The famous Miller-Urey experiments used a strongly reducing atmosphere to produce amino acids. It is important to realize that the original experiment is famous not so much for the exact mixture used, but for the unexpected discovery that such a simple experiment could indeed produce crucial biological compounds; this discovery instigated a huge amount of related research that continues today. Now, current geochemical opinion is that the prebiotic atmosphere was not so strongly reducing as the original Miller-Urey atmosphere, but opinion varies widely from moderately reducing to neutral. Completely neutral atmospheres would be bad for Miller-Urey-type experiments, but even a weakly reducing atmosphere will produce lower but significant amounts of amino acids. In the approximately two brief pages of text where Wells actually discusses the reducing atmosphere question (p. 20-22), Wells cites some more 1970's sources and then asserts that the irrelevance of the Miller-Urey experiment has become a "near-consensus among geochemists" (p. 21). This statement is misleading. What geochemists agree on is that if the early earth's mantle was of the same composition as the modern mantle and if only terrestrial volcanic sources are considered as contributing to the atmosphere, and if the temperature profile of the early atmosphere was the same as modern earth (this is relevant to rates of hydrogen escape) then there will be much less hydrogen compared to Miller's first atmosphere (20% total atm.). Even if this worst-case scenario is accepted, hydrogen will not be completely absent, in fact there is a long list of geochemists that consider hydrogen to have been present (although in lower amounts, roughly 0.1-1% of the total atmosphere). At these levels of H2 there is still significant (although much lower) amino acid production. Also, many geochemists think that these conditions do not represent the early earth, contrary to the impression given by Wells. For example, on p. 20, Wells mentions terrestrial volcanos emitting neutral gases (H2O, CO2, N2, and only trace H2), but he fails to mention that mid-ocean ridge vents could have been significant sources of reduced gases -- they are important sources of reduced atmospheric gases even today, emitting about 1% methane (Kasting and Brown, 1998) and producing reduced hydrogen and hydrogen sulfide (e.g. Kelley et al., 2001; Perkins, 2001; Von Damm, 2001) and potentially ammonia prebiotically (Brandes et al., 1998; Chyba, 1998). Why does Wells exclude oceanic vents from consideration? Another strange omission is that Wells completely fails to mention the extraterrestrial evidence, which is the only direct evidence we have of the kinds of chemical reactions that might have occurred in the early solar system. For example he neglects to mention the famous Murchison meteorite, which contains mixtures of organic compounds much like those produced in Miller-Urey style experiments, and which constitutes direct evidence that just the right kind of prebiotic chemistry was occurring at least somewhere in the early solar system, and that some of those products found their way to earth (see e.g. Engel and Macko, 2001 for a recent review). The standard theory for the origin of life postulates that life arose from an abiotically produced soup of organic material (e.g., Miller, 1953; Miller, 1992). The first organism would have therefore been a heterotroph deriving energy from this existing pool of nutrients. This theory for the origin of life is not without competitors (for a review of theories for the origins of life see Davis and McKay, 1996), but has received considerable support from laboratory experiments in which it has been demonstrated that biologically relevant organic materials can be easily synthesized from mildly reducing mixtures of gases (e.g., Chang et al., 1983). The discovery of organics in comets (e.g., Kissel and Kruger, 1987), on Titan (e.g., Sagan et al., 1984), elsewhere in the outer solar system (e.g., Encrenaz, 1986), as well as in the interstellar medium (e.g., Irvine and Knacke, 1989) has further strengthened the notion that organic material was abundant prior to the origin of life. None of this is meant to convey the impression that no controversies exist (both Cohen (1995) and the Davis and McKay (1996) article cited by the above-quoted Kral et al. (1998) are about the various competing hypotheses about the origin of life). But textbooks generally mention some of these hypotheses (briefly of course, as there is only space for a page or two on this topic in an introductory textbook), and furthermore generally mention that the original atmosphere was likely more weakly reducing than the original Miller-Urey experiment hypothesized, but that many variations with mildly reducing conditions still produce satisfactory results. This is exactly what is written in the most popular college biology textbook, Campbell et al. 's (1999) Biology, for instance. In other words, the textbooks basically summarize what the recent literature is saying. The original Miller-Urey experiment, despite its limitations, is also repeatedly cited in modern scientific literature as a landmark experiment. So why does Wells have a problem with the textbooks following the literature? Wells wants textbooks to follow the experts, and it appears that they are. Wells writes (p. 22) as if the RNA world is an alternative to failed Miller-Urey-style experimentation. He cites no source for this claim, because the claim is pure obfuscation. The RNA world hypothesis is complementary, not opposed, to Miller-style prebiotic syntheses, as it is meant to explain how genetic replication got going without DNA, several steps down the road after prebiotic syntheses. Wells gives the impression that there are only two possible starts to life on earth, Urey-Miller style syntheses and the RNA world. Wells misleadingly cites several quotes that taken alone suggest that the RNA world is impossible, and that there is no remaining scientific explanations for life on earth. However, most authorities agree that the RNA world was one stage of the origin of life, rather than the very first stage, and that it was proceeded by a pre-RNA world. Indeed, the very authors he quotes to suggest that the RNA world is impossible go on to explain the concept of a pre-RNA world and how an RNA world would arise from that, but Wells omits all mention of this. Wells doesn't bother to cite recent work on precursors to the RNA world, see for example Cavalier-Smith (2001) for an introduction and references to ideas on this such as the 'NA world' and 'lipid world' (for the latter, see e.g. Segre et al., 2001). Wells mixes up several issues in this chapter. As we saw in the previous chapter, he will give several topics each a cursory and incomplete treatment, raising doubts about each subject and connecting them together whether they are logically connected or not. Here Wells is running down a path well-worn by his creationist and 'designist' (IDist) colleagues. As a result there is already significant literature available on the "animal phyla appeared suddenly, and without precursors, and all equally far apart from each other"-sort of contention. There is much confusion in the popularized literature about the evidence for macroevolutionary change in the fossil record. Unfortunately, the discussion of evolution within the Christian community has been greatly influenced by inaccurate presentations of the fossil data and of the methods of classification. Widely read critiques of evolution, such as Evolution: A Theory in Crisis by Denton, and Darwin on Trial by Johnson, contain serious misrepresentations of the available fossil evidence for macroevolutionary transitions and of the science of evolutionary paleontology. [...] The implication of much of the evangelical Christian commentary on macroevolution is that the major taxonomic groups of living things remain clearly distinct entities throughout their history, and were as morphologically distinct from each other at their first appearance as they are today. There is a clear interest in showing the history of life as discontinuous, and any suggestion of transition in the fossil record is met with great skepticism. The purpose of this short communication is to dispel some of these misconceptions about the nature and interpretation of the fossil record. On page 38 of Icons Wells quotes page 30 of Simon Conway Morris' (1998) book The Crucible of Creation about the "sharp demarcation" at the Cambrian explosion. But Conway Morris writes on the very next page (32-3), "The term 'explosion' should not be taken too literally, but in terms of evolution it is still very dramatic. What it means is the rapid diversification of animal life. 'Rapid' in this case means a few millions of years, rather than the tens or even hundreds of millions of years that are more typical when we consider evolution in the fossil record." And of course one of the central points of Conway Morris' entire book is that the morphological disparity that emerges in the Cambrian, often invoked by Wells & co. via quotation of people like Stephen J. Gould, is not quite as radical as the IDists or even Gould would have it. There is a significant problem in asserting that the animal phyla of the Cambrian are as morphologically diverse as the fauna today -- in large part this perception is due to the somewhat arbitrary concepts of 'phylum' and 'body plan'. Conway Morris writes (p. 170) that "the strangeness of the problematic Cambrian animals is really a human artifact, a construct of our imagination." On pages 185-195 he uses the fossils Wiwaxia and Halkieria as transitionals between phyla (which by Wells' account shouldn't exist) to connect three very 'disparate' major phyla -- Mollusca, Brachiopoda, and Annelida -- to each other. For someone who self-righteously passes judgment on figures in textbooks, Wells' figures are atrocious. His Figure 3.4, "Actual Fossil Records of the Major Living Animal Phyla" purports to show when the various animal phyla appear in the fossil record. Note that, again, Wells cites no source in his notes to figure out where his figures came from. However, examining a similar graphic at the online University of California Museum of Paleontology (UCMP, 2000), we see that Wells has left a number of phyla out, namely the dozen or so that have either no fossil record or appear very late relative to the Cambrian phyla. Notably all of the missing phyla are soft-bodied, but if Wells admitted that numerous phyla existed without any fossil record whatsoever, he would severely weaken his argument on page 44 that any small, soft-bodied ancestors of the animal phyla would have been fossilized if they existed. Wells' figure also places Rotifera and Phoronida as having fossil records in the Cambrian, which could be correct if the UCMP page is out of date, but as Wells gives no references for the figure it is impossible to check. Wells' second argument against the Tree of Life deals with the 'molecular clock' hypothesis -- namely that DNA or protein sequence divergence is regular enough to date ancient splits between lineages. This hypothesis is indeed being questioned by scientists, as the influence of things like natural selection may well alter the rate of sequence change (e.g. cone snail venoms are a fantastic example of rapid sequence divergence under selective pressure; see Espiritu et al., 2001). And if these changes occur often enough then getting accurate clock dates, particularly for distant events, will be very hard. This is an entirely different thing from determining molecular phylogenies, however, which is what Wells is actually trying to debunk. But unfortunately for Wells, there is considerable evidence that these phylogenies are reliable and in reasonably good accord with phylogenies generated from other data. On the general subject of accuracy in molecular phylogenies see Theobald 2002b and for recent work on phyla evolution and metazoan molecular phylogenies, which are quite certainly not in crisis, see recent articles in places Evolution and Development (e.g., Collins and Valentine, 2001; Peterson and Eernisse, 2001). Ape-human relationships. The following example comes from the mitochondrial DNA sequence data from Horai et al. (1992, Journal of Molecular Evolution 35: 32-43). Just small blocks of data are shown from three of the several protein-coding and tRNA loci analyzed (COI = cytochrome oxidase I locus). Wells engages in a bit more quote-mining on page 51, picking some molecular phylogenies studies that seem ridiculous. Even when different molecules can be combined to give a single tree, the result is often bizarre: A 1996 study using 88 protein sequences grouped rabbits with primates instead of rodents; a 1998 analysis of 13 genes in 19 animal species placed sea urchins among the chordates; and another 1998 study based on 12 proteins put cows closer to whales than to horses. What Wells isn't telling you is that some of these results are not in fact ridiculous. Cows, for example, are artiodactyls which are indeed thought to be closely related to whales, a suspicion which has received striking confirmation from recent transitional fossil discoveries (see the webpage of the discoverer Thewissen). Sea urchins (phylum echinodermata) do indeed group "among the chordates" but this is because they are a sister group to chordates, not within chordates as Wells implies. This taxonomy is a long accepted fact (see e.g. the Metazoa page of the Tree of Life, especially "D" for "deuterostomes," the group which includes echinoderms and chordates but excludes moulting organisms like arthropods). The very paper that Wells cites recognizes these distinctions explicitly. The rabbits and rodents study, on the other hand, has methodological flaws (although the two groups are indeed more distantly related than the nonexpert might expect). All of this is discussed in detail, with references, by talkorigins poster John Harshman. This idea has recently been implemented on the web in a splendid fashion. See the Tree of Life Web Project Home Page. In Icons, Wells has a ball with recent scientific debates over whether or not lateral gene transfer mixed up ancient genomes so much that deepest branches of the tree are mixed up. Basically, some scientists have proposed that the idea of a single "last common ancestor" should be replaced with the idea of a "last common gene pool" that the extant three domains of of life -- eukaryotes, archaea and eubacteria, in one classification scheme -- gradually emerged from. Carl Zimmer (2001) describes this as the 'Mangrove of Life' idea. Wells (of course) milks this for all it's worth, proclaiming the downfall of common descent and the 'uprooting of the tree' and whatnot, but he is distorting things. This entire debate is, among scientists, about the very oldest part of the tree, known as the 'root.' This is where the lineages of the three fundamental 'domains' of life come together. Apart from being the most remote event to study timewise, the question of the rooting of the tree is greatly complicated by lateral gene transfer, by differing rates of evolution between genes and lineages, by the fact that eukaryotes are the result of symbioses between archaea and eubacteria, and by the fact that, by definition, the Tree of Life has no outgroup, which creates technical problems for placing the root. Scientists are attempting to discern the most ancient events in the history of life here, so complications are to be expected. One recent article that is highly skeptical of much of the work that Wells cites is Cavalier-Smith (2002). What Wells does not point out is that this entire controversy has precious little to do with eukaryote phylogeny (which is coming along just fine, thank you, see e.g. Baldauf et al., 2000), and nothing to do with metazoan phylogeny (previously discussed), all of which will remain perfectly traditional and tree-like no matter who wins the debate over rooting the tree. To see what this means, go to the Tree of Life webpage (http://tolweb.org/), if you click on the tree, you will find that the first page lists the three domains. This is what the tree vs. mangrove debate is about. If you click on eukaryotes, you have entered the zone where, regardless of the debate outcome, it appears that phylogenies will remain tree-like -- in other words, essentially the entire mapped tree. Wells' Figure 3.8 (p. 53) is very misleading in this respect -- all macroscopic life, and a great deal of microscopic life, fits into the tree branching off from the 'molecular thicket'. On the last page of this chapter of Icons (p. 58), Wells recounts his story of an unnamed Chinese paleontologist who visited the U.S. in 1999 and who Wells quotes as saying, "In China we can criticize Darwin, but not the government; in America, you can criticize the government, but not Darwin." Given past experience with antievolutionist anecdotes, it is to be strongly suspected that there is more to this story than Wells is telling us. This is particularly true if one reads the account of Nigel Hughes (Department of Earth Sciences, University of California, Riverside) of a small symposium held in June 1999 in China, where many well-preserved early metazoan fossils have recently been discovered. Hughes says that the meeting, the "International Symposium on the Origin of Animal Body Plans and Their Fossil Records," was organized by Professor Chen Jun-yuan -- although, as we will see below, it appears that the Discovery Institute played a significant role as well. Hughes was one of about 50 symposium participants. The most curious aspect of the meeting, and the most embarrassing for Western scientists (particularly those from the United States), was the presence of individuals supported by the Discovery Institute -- a Seattle-based foundation that proclaims intelligent design as a scientific explanation for biological diversity. The involvement of the Institute came as a surprise to the more conventional attendees, especially when it became obvious that the Institute had played a key role in the organization of the conference, unbeknownst to the scientific community. Several talks were presented along this theme, the main thesis of which seemed to be the old Pallian arguments wrapped in a variety of molecular guises. Michael Denton spoke on what he saw as a failure of genetics to unveil a universal explanation for biological form, Paul Nelson on maternal effect genes, and Jonathan Wells on homeotic genes. It takes guts to expose yourself in this manner to a generally incredulous audience, but it also places special demands if science is your objective. I was depressed to find that my rudimentary understanding of molecular biology was sufficient to spot egregious errors, candidly dispatched by Eric Davidson. Wells's claim that aspects of Hox gene control, instead of providing yet more evidence for homology and common ancestry, actually suggest that all metazoan phyla arose independently gives the flavor of what was offered. In doing so he effectively denied any defensible meaning in the words such as deuterosome or ecdysozoan, well established higher taxa which have been erected on characters other than those genes that influence segment identity. A bold claim, but one he could not reasonably defend as questioning revealed. Denton was dismayed that biotic systems are more complicated than some geneticists had expected in the 1960s, but the logical connection between this and his belief in immutable natural designs was left unexplained. And so it went on. The only thing new here was the presence of these arguments at a meeting that was ostensibly billed as being scientific. How does one deal with such situations? Those speaking were accompanied by a coterie of supporters, including a "cosmic reporter" and one-by-one scientists attending courteously answered their questions. Many of us, myself included, reluctantly agree to be interviewed on tape. As guests in China a major public blow-up was to be avoided, but looking back I wish I had been more aggressive. We are all used to arguing science, but we are not used to telling people that we suspect their motives. Perhaps we have to become so, because the extent, if any, to which Chinese colleagues had been made aware of the controversial nature of the Discovery Institute, and its political agenda within the United States, remained unclear. What was clear is that the Discovery Institute is actively encouraging Chinese scientists, by means of funding, to promote a view of the Chengjiang fauna to which they are sympathetic. Several Chinese scientists gave presentations that emphasized the sudden appearance of phyla, hinting at the need for a new "top-down" mechanism of evolution -- music, of course, to creationist ears. Although the Chengjiang fauna does forcefully remind us that many body plans were firmly established by early in the Cambrian, it does little more than focus attention on the interesting things that happened around the Precambrian/Cambrian boundary. The "phylogenetic lawn" idea is hardly new (recall, for example, Gould's Wonderful Life), and is clearly an inaccurate view. Given the generous way in which scientists at the meeting explained this and other matters to those allied with the Discovery Institute it is disappointing to find commentaries in the Wall Street Journal (August 16, 1999) proclaiming that Chinese scientists have new evidence that questions the very basis of evolution. Predictably enough, the Discovery Institute turns out to be uninterested in scientific rigor, and they will do whatever it takes to promote their agenda, including taking advantage of Chinese scholars. Creationism is not only a specter that haunts rationality in the United States, but it is also willing to employ a little cultural imperialism if it furthers the cause. Wells discusses his story further in the footnotes (Icons, p. 278), and implies that revealing the name of the paleontologist would expose the scientist to persecution from dogmatic Darwinists. But this is nonsense, as it seems certain that the Chinese paleontologist was at the above symposium (quite possibly he was the organizer, although I have no further evidence for this than the Hughes piece above), and was clearly given a chance to give his views. Antievolutionists of course often will characterize mere disagreement as persecution, but that is their problem. The strangest aspect of the book is the bizarre view of mainstream science Wells presents: The idea that a secret gang of "Darwinists" controls the teaching of evolution and uses coercion and deceit to suppress all disagreement! Does Wells present any evidence to support his claim of a Darwinist conspiracy that mercilessly persecutes any scientist who dares criticize the dogma? No. But he does have an anecdote. Wells spends this entire chapter thoroughly confused about homology, and does his best to confuse his readers as well. About five minutes of research by yours truly turned up a perfectly reasonable discussion of homology (Amundson, 2001) which nicely straightens things out: in a nutshell, homology is detailed similarity of organization that is functionally unnecessary, meaning the similarity is unnecessary (the trait in question may be, and usually is, functional). This criticism relies on a faulty view of what scientific definition amounts to. A scientific definition is not a semantic stipulation that creates an analytically true statement (i.e. a statement the denial of which is self-contradictory). Rather, a scientific definition typically states a property that is considered to be the most deeply explanatory of the phenomena that are central to the term being defined. Lankester and Mayr consider ancestry to explain patterns of homology, and stress that fact by making it the definition. The historical definition is not viciously circular as long as homologies can be recognized and picked out by criteria other than common ancestry. It is an empirical fact that homologies (as picked out by the criteria below) are arranged among organisms in a pattern that is explainable by common ancestry, and independent evidence from various fields supports common ancestry as a historical fact. On pp. 72-78, Icons cites Rudolf Raff and other scientists in an attempt to build a case that the use of homology is somehow in crisis. The reality of most of these cases is that scientists are simply discovering that different kinds of homology are found at different phylogenetic and organizational levels. Over the last few years, the growing synthesis of evolutionary biology and developmental biology has created a hot new subfield referred to as "evo-devo." For an introduction to evo-devo, see the article "The evolution of evo-devo biology," which heads up an entire special issue on the topic that was published freely on the web by the journal Proceedings of the National Academy of Sciences (PNAS). For a very detailed introduction to dozens of detailed homologies (none mentioned by Wells except the vague 'similarity' idea) within the chordates that have been discovered via comparative biology, see this webpage on Chordate Anatomy and Evolution). In the interests of forthrightness, one point must be conceded straight out: Haeckel's embryo drawings have no place in textbooks except as an example of how erroneous ideas can get tacked onto important truths and perpetuated even after being debunked (Haeckel's inaccurate drawings have actually been 'exposed' multiple times since the 1800's, the Richardson et al. (1997) article that Wells cites being only the most recent example). However, Wells as usual exaggerates the implications of this for evolution. Our work has been used in a nationally televised debate to attack evolutionary theory, and to suggest that evolution cannot explain embryology (2). We strongly disagree with this viewpoint. Data from embryology are fully consistent with Darwinian evolution. Haeckel's famous drawings are a Creationist cause célèbre (3). Early versions show young embryos looking virtually identical in different vertebrate species. On a fundamental level, Haeckel was correct: All vertebrates develop a similar body plan (consisting of notochord, body segments, pharyngeal pouches, and so forth). This shared developmental program reflects shared evolutionary history. It also fits with overwhelming recent evidence that development in different animals is controlled by common genetic mechanisms (4). Why doesn't Wells quote this letter for his readers? In this figure, Mammalia are mammals; Aves are birds; Crocodilia, Lipidosauria, and Testudinata are reptiles; Amphibia are amphibians, and the top four groups are various kinds of 'fish' (jawed, jawless, etc.). Phylogenetically speaking, all tetrapods (amphibians, reptiles, mammals and birds) are really just a sub-subgroup of 'fish.' This figure actually dramatically underrepresents the massive diversity of 'fish' relative to tetrapods. For the full view, see the Tree of Life vertebrates page (for bonus points, see how many steps it takes you to click through the tree to humans -- if you can find them). As you can see, mammals, birds, and reptiles are all thought to be more closely related to each other than any is to amphibians; and mammals, birds, reptiles, and amphibians together (tetrapods) are all more closely related to each other than any is to any of the various groups of jawed and jawless fish. This particular nested hierarchy can be derived from morphology and molecular phylogeny, but an independent similarity hierarchy based on similarities in the embryological development pathway also will yield this pattern. See Theobald for some further discussion: "Ontogeny and Development of Organisms". Numerous other mistakes and distortions could be mentioned, here is but one. Regarding Futuyma's use of the Haeckel embryo drawings in the 3rd edition of Evolutionary Biology, Wells writes (p. 109), "But it was Futuyma who mindlessly recycled Haeckel's embryos in several editions of his textbook, until a 'creationist' criticized him for it." However, an inspection of Futuyma's 1st and 2nd editions of Evolutionary Biology reveals that no such drawings were included in these editions. In the first edition, Haeckel's biogenetic law and the problems with it are discussed on page 153 in respectable fashion (this corresponds with page 303 in the second edition) -- and in fact the primary issue surrounding Haeckel in textbooks, which has always been to debunk Haeckel's "ontogeny recapitulates phylogeny" oversimplification, is in fact admirably discussed in all three editions. Archaeopteryx has long been something that creationists have felt the need to deal with somehow, as it is a clear fossil intermediate between two vertebrate classes. However, creationist claims have been refuted so often and so thoroughly regarding Archaeopteryx that very little remains for Wells to do except raise a smoke screen over whether or not Archaeopteryx was the actual species through which the genes of the last common ancestor of modern birds passed, or whether it was a closely related side-branch. Either way, it is clear evidence that a transition between the classes occurred. It bears pointing out that while Wells makes a big deal about the relative dating of Archaeopteryx and the various feathered dinosaurs, in fact the discrepancy is not overwhelming. Archaeopteryx fossils are dated to be about 150 million years old, and recent work has established a date of 124 mya for the fossils in this area, which puts them in the early Cretaceous (see the article by Henry Gee at "A date with the downy dinosaurs" ). Wells claims on pp. 117-122 that cladistics has been used to "rearrange the fossil evidence" and to provide unwarranted support to the dinosaur-bird connection. He is greatly troubled by the fact that no feathered dinosaur fossils earlier than Archaeopteryx have yet been found. Of course, until very recently we had no feathered dinosaurs at all, which tells you something about the spottiness of the record for these small, hard-to-fossilize critters. The total number of known Archaeopteryx specimens can be counted on two hands, and they are found in a very restricted locale in Bavaria (although I have recently heard that some new specimens have been found in Spain). The Chinese sites are similarly restricted as very special conditions are necessary to fossilize feathers. Wells tries to manufacture another Haeckel embryo situation by describing the fraudulent fossil Archaeoraptor that National Geographic foolishly rushed into publication before scientists had a chance to peer-review the fossil in established journals. But even Wells has to admit that scientists caught the fraud themselves, that the fossil was never published in Nature or Science, and that the lifetime of the fraud was a matter of weeks. A 'Piltdown bird,' to use Wells' deliberately inflammatory language, this was not. National Geographic was roundly criticized and will undoubtedly exert more journalistic caution in the future. Was Archaeoraptor ever in textbooks or even the primary literature? No. Wells just brings it up to raise the doubt level a bit higher. China has continued to produce magnificent fossils documenting the dinosaur-bird connection. One wonders what more it could possibly take to convince one that birds evolved from dinosaurs than the recently discovered fossil Dromeosaur, which skeletally speaking is entirely a small bipedal nonflying dinosaur, but which is festooned with feathers of several types? Excellent pictures of this specimen can be found online at the American Museum of Natural History website ("New dinosaur specimen" ) and the scientific description is in Ji et al (2001). So many things are wrong with Wells' treatment of peppered moths (Biston betularia) that it is hard to list them all; but I will try. The authoritative reference on this topic is M.E.N. Majerus' 1998 book Industrial Melanism: Evolution in Action. This book includes two long chapters on Biston. The first chapter, "The peppered moth story," recounts the basic story of melanism in Biston, and relates how this story was pieced together by Kettlewell and others. The second chapter, "The peppered moth story dissected," gives a thorough critical review of the basic story, considering aspects and details of the basic story in the light of research (by Majerus and others) post-dating Kettlewell. First, it is important to emphasize that, in my view, the huge wealth of additional data obtained since Kettlewell's initial predation papers (Kettlewell 1955a, 1956) does not undermine the basic qualitative deductions from that work. Differential bird predation of the typica and carbonaria forms, in habitats affected by industrial pollution to different degrees, is the primary influence of the evolution of melanism in the peppered moth (Majerus, 1998, p. 116). Majerus is so clear on this point that one suspects that he was anticipating that his critique would be misinterpreted by non-peppered moth researchers. It seems that there is a "too good to be true" quality about the peppered moth story that leads people to interpret any hint of criticism as a sign that the whole basic story is crashing down. Scientists are by no means immune to this tendency, and indeed they may be more prone to it given the regularity with which popular ideas have been overturned throughout the history of science. The press has an even greater tendency towards snap judgements and oversimplifications when it comes to scientific discussions. Antievolutionists, on the other hand, have always been stuck muttering "it's just microevolution within a species." While this is true, the rapidity and obvious adaptiveness of the change effected by natural selection still seemed to give antievolutionists discomfort. Therefore, it is understandable that when Wells and his fans sniffed a scientific controversy over peppered moths (in truth it was a fairly marginal kind of controversy), they blew things way out of proportion. First, several of Wells' worst distortions must be dealt with directly. For further discussion, see below and endnote 3. Peppered moth photographs, staged and otherwise. Wells raises a fantastic stink about the fact that the photographs of peppered moths in textbooks, showing light-colored typicals next to dark-colored melanics on differing backgrounds, are staged. But the point of such photos is not to prove the truth of the 'classic' story, it is to illustrate the relative crypsis of moth morphs on different backgrounds. Those who feel that their innocent faith in insect photography has been betrayed should consider the fact that most photos of insects in textbooks are probably staged; insects are, after all, small and difficult to photograph. The facts that peppered moths are sparsely distributed and, well, camouflaged also make them difficult to photograph. But as it turns out, the differences between staged and unstaged photos are minimal. Readers who wish to see unstaged photos of peppered moths are advised to look up Majerus' Industrial Melanism. Majerus says that all of the peppered moth photos taken by him in the book are unstaged. Readers should consult the figures which are listed below. It may be possible to get permission to include the photos, but until then descriptions shall have to suffice. Figure 6.1 (a), p. 118. Black-and-white photo, edges blurred. A rather dark (almost black) insularia moth, resting apparently on a tree trunk (bark fills the background). The moth is slightly darker than the background. Figure 6.1 (b), p. 118. Black-and-white photo, middle of moth slightly blurred. A light form of insularia (still more heavily peppered than a typica), resting on a thick tree branch (branch width is about 3/4 that of the moth). Figure 6.3, p. 122. Black-and-white photo, middle of moth slightly blurred. A typica hanging underneath a hazel twig. Plate 3, between pp. 146-147, has colored photos. Six photos are shown (the first five are Majerus'), and the captions are quoted, with my comments in brackets. It should be noted that Majerus is concerned to show his readers aspects of the peppered moth story that they do not get in textbooks; thus the focus on insularia forms and on moths in branches (Majerus is a proponent of the view that peppered moths most commonly -- but not entirely or even almost entirely -- rest on the underside of branches and thick twigs in the forest canopy). Even so, there are several photos that show peppered moths, on tree trunks, on more-or-less matching backgrounds. And guess what? These photos look no different than 'staged' photos of moths on tree-trunks. The most 'staged' aspect about a 'staged' photo is that two differing moth forms are shown side-by-side, but Majerus' first two photos from Plate 3 indicate that even this is not impossible. So the entire photo issue is a mountain made of a molehill. It should also be noted that several (four) of these unstaged photos have some (minor but noticeable) degree of blurring (e.g., part of the moth will be out of focus). Insects in the wild do annoying things like move and fly away, and are often encountered in poor-light conditions, resulting in less-than-perfect photos. As scientific documentation of observations this is unimportant, but flawed photographs are exactly the kind of thing that are avoided in textbooks, and this is precisely why staging insect photos is a common practice for textbooks (as well as things like nature shows). The discussion thus far has shown that Wells' "most serious objection" to the peppered moth story is completely baseless: first, peppered moths do in fact rest on tree trunks (a significant portion of the time although not the majority of the time, according to Majerus' data). Second, textbook photos are used to show relative crypsis of moth morphs, not to prove that peppered moths always rest in one section of the trees. And third, Majerus himself has taken unstaged photos of peppered moths on matching tree trunk backgrounds, and these are not significantly different than staged photos; this eviscerates whatever vestige of a point Wells thinks that he has. What are the implications if moths rest most often underneath branches? Leaving aside Wells' frantic attempt to create a problem where none exists, the relevance of moth resting locations for the 'classic story' (natural selection by bird predation) deserves some consideration. Majerus' considered opinion is that peppered moths rest more commonly underneath branches than was previously appreciated, and that if this is true then some quantitative estimates of selection coefficients may need to be adjusted. However, he is quite clear that the basic qualitative conclusions of Kettlewell (that differential bird predation of moth morphs on changing backgrounds is the selective force) do not need to be changed. As Majerus notes, crypsis is still important for moths in tree branches. He even comments directly on this with two of his photos (Plate 3, photos (b) and (c)). And of course, birds are known to (a) fly and (b) feed in forest canopies, so it is very difficult to see why resting on trunks vs. branches would change bird predation in any radical way. Having dealt with Wells' "most serious objection," let us turn to Wells' use of the scientific literature. The primary problem is that Wells gives inordinate weight to a few scattered review papers, by biologists who are not major peppered moth researchers , that question the standard view (that bird predation on different colored moths on differently polluted backgrounds caused the darkening of moth populations as pollution increased, and that as pollution decreased this process worked in the opposite direction). Their criticisms have been answered by peppered moth researchers (Grant, 1999; Cook, 2000; Grant and Clarke, 2000; Majerus, 2000). And, as pointed out in the introduction, since Wells bases his argument on the idea that the experts are disowning the 'icons' in their respective fields, Wells is falsified if those experts contradict him. Bruce Grant's review of Wells. American peppered moth researcher Bruce Grant has written many papers on Biston, and has documented the parallel rise and fall in melanic forms of the North American subspecies of the peppered moth. See Grant's webpage for listed articles. Dr. Grant has kindly given permission to have his comments on the peppered moth chapter of Icons quoted in this article. To put them in context, the material quoted below is a copy of the correspondence between Grant and a professional colleague who had requested Grant's views on Wells' chapter, originally written February 7, 2001. Wells' Chapter 7 is pretty similar to his earlier ms. "Second thoughts about peppered moths" that he posted on the web, and published in abridged form in The Scientist. I sent you my comments about that version about two weeks ago. My general reaction to this latest version is about the same. He distorts the picture, but unfortunately he is probably pretty convincing to people who really don't know the primary literature in this field. He uses two tactics. One is the selective omission of relevant work. The other is to scramble together separate points so doubts about one carry over to the other. Basically, he is dishonest. He immediately launches the claim "that peppered moths in the wild don't even rest on tree trunks" (p. 138). This is just plain wrong! Of course they rest on tree trunks, but it's not their exclusive resting site. He quotes Cyril Clarke's lack of success in finding the moths in natural settings, but he omits mentioning Majerus' data which reports just where on trees (exposed trunks, unexposed trunks, trunk/branch joints, branches) Majerus has found moths over his 34 years of looking for them. Of the 47 moths he located away from moth traps, 12 were on trunks (that's >25%). Of the 203 he found in the vicinities of traps, 70 were on trunks (that's 34%). Based on his observations, Majerus argued that the most common resting site appears to be at the trunk/branch juncture. What is clear from his data is that they sit all over the trees, INCLUDING the trunks. So what? Kettlewell's complementary experiments in polluted and unpolluted woods compared the relative success of different colored moths on the same parts of trees in different areas, not different parts of trees in the same area. It is true that the photos showing the moths on trunks are posed (just like practically all wildlife pictures of insects are) but they are not fakes. No one who reads Kettlewell's paper in which the original photos appeared would get the impression from the text that these were anything but posed pictures. He was attempting to compare the differences in conspicuousness of the pale and dark moths on different backgrounds. Nobody thought he encountered those moths like that in the wild. At their normal densities, you'd be hard pressed ever to find two together unless they were copulating. I have always made a point of stating in photo captions that the moths are posed, and I think textbook writers have been careless about this. But they are not frauds. On the subject of lichens, no one has questioned their importance more than I have. But what does Wells do with this? He quotes me, but he doesn't include what else I said has happened on the Wirral (p. 147) with respect to the tremendous expansion of birch stands since the enactment of the smokeless zones. Kettlewell, too, argued that peppered moths are well concealed on birch bark (even without lichens). Wells continues (p. 148) to quote my reservations about lichens in Michigan, but, again, he omits any reference to the data I presented in that paper showing the decline, not only in SO2, but in atmospheric particles (soot) which has been established as a factor altering reflectance from the surface of tree bark. So, while I have questioned the importance of lichens, I have not taken this as evidence that crypsis is unimportant. Wells omits this entirely. Wells also inappropriately uses thermal melanism in ladybirds to suggest, that while no one has shown this in peppered moths (p. 152), industrial melanism can have other causes besides predation. 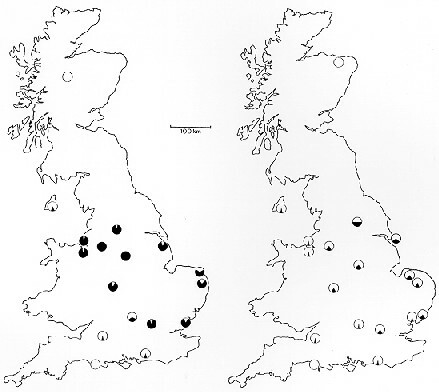 It's not just that there is no evidence for thermal melanism in peppered moths, there is evidence AGAINST thermal melanism based on the geographic incidence of melanism in the UK, the USA, and Europe. There are no latitudinal clines, and no altitudinal clines as one might expect with thermal melanism. Wells knows this, if he actually read my papers. (He cites them, so I should assume he read them.) He also raises the question of larval tolerance to pollutants. There is no evidence for this, either. I have a paper out on this point, but in fairness to Wells, it came out just this past year. Wells clouds discussions with irrelevancies. For examples he brings up Heslop Harrison (p. 141 and again on p. 151) and the question of phenotypic induction. Wells makes it sound as if most biologists discount induction based on their belief in natural selection (as if it were a popular religious question). The evidence for the Mendelian inheritance of melanism in peppered moths has nothing to do with evolutionary theory; it is based on old fashioned crosses involving over 12 thousand progeny from 83 broods. The Mendelian basis for this character in this species is as well established as is any character in any species. Wells doesn't mention this, yet he cites my review paper where I do bring this up in my criticism of Sargent et al. Induction has nothing to do with industrial melanism, and Wells knows it. Again, selective omissions on the part of Wells. On page 151 Wells claims Kettlewell's evidence has been impeached. This is nonsense. It has not. But I have argued, that even if it were entirely thrown out, the evidence for natural selection comes from the changes in the percentages of pale and melanic moths. It is this record of change in allele frequency over time that is unimpeachable. It is a massive record by any standard. (I can send a jpg file with graphs, if you'd like.) I have pointed out, and he quotes me, that no force known to science can account for these changes except for natural selection. Yet, he scrambles the ingredients here. He claims (top of p. 153) "...it is clear that the compelling evidence for natural selection that biologists once thought they had in peppered moths no longer exists." Of course the evidence for natural selection exists! That evidence is overwhelming. Wells, by attempting to discredit Ketttlewell's experiments about predation (and clearly there are things wrong with Kettlewell's experiments) doesn't stop at saying we can't be altogether sure about bird predation because of problems with Kettlewell's experiments. No. He says, instead, that the evidence for natural selection no longer exists. This is just plain wrong. He cannot support this sweeping statement, but he spins it into his conclusion by building a case against Kettlewell. This is what I mean about his tactic of scrambling arguments. He wields non sequiturs relentlessly. I hope this is helpful to you in your review. Evidence of selective predation in the peppered moth is not lacking. It is just not provided in the quick text book descriptions of the peppered moth. How can it be. I have read some 500 papers on melanism in the Lepidoptera. In total, these papers probably amount to about 8000 pages, and the story is condensed into a few paragraphs in most textbooks for schools. Even in my own book, I could only give a review of the case covering about 60 pages including illustrations. The older hypothesis that melanism was induced by pollutants was discredited because Heslop [Harrison's] experiments lacked appropriate controls, and his results could not be replicated, despite several attempts. Furthermore, the levels of mutagenesis that he recorded are several times higher than those produced by doses of radiation that induce complete sterility in fruit flies (see E.B. Ford (1964) Ecological Genetics for full critical review). Finally, I agree with Dr Wells that photographs of two peppered moths staged on backgrounds for effect should say they have been done purely for illustrative purposes. I have many times, in undergraduate lectures, pointed out that photographs of the type that appear in so many text books are faked. However, I would point out that none of the photographs of live peppered moths taken by myself, which appear in the book were staged. All show peppered moths where they were found in the wild. End-note: It is difficult to have an informed discussion of a complicated ecological system with those who have little or no experience of the system. My advice to anyone who wishes to obtain a fully objective view of this case is to a) read the primary papers that I based my review upon, and any other relevant papers, and b) gain some experience of this moth and its habits in the wild. Of all the people I know, including both amateur and professional entomologists who have experience of this moth, I know of none who doubts that differential bird predation is of primary importance in the spread and decline of melanism in the peppered moth. I hope that this is some use to you, Donald, and that it encourages more people to look at the case of the peppered moth with an open mind. If it can help interest a few more people in moths and butterflies, that is all to the good. Best wishes, and Happy Easter. BUT EVERYONE, INCLUDING MAJERUS, HAS KNOWN SINCE THE 1980'S THAT PEPPERED MOTHS DO NOT REST ON TREE TRUNKS IN THE WILD. This means that every time those staged photographs have been re-published since the 1980's constitutes a case of deliberate scientific fraud. Michael Majerus is being dishonest, and textbook-writers are lying to biology students. The behavior of these people is downright scandalous. I know what I'm talking about. I spent much of last summer reading the primary literature (email me if you want the references). Frankly, I was shocked by what I found -- not only that the evidence for the moths' true resting-places has been known since the 1980's, but also that people like Majerus and Miller continue to deceive the public. Note the complete irony of the capitalized sentence. Majerus is the foremost proponent (in the literature I've seen) of the idea that the moths most commonly rest higher in the trees. His data are the only ones I have seen cited as evidence of [what] happens "in the wild." Majerus is attacked as "dishonest" and "text-book writers are lying to biology students", their behavior is "scandalous." [...] If Wells is right, he hasn't demonstrated it here. He attacks both Michael Majerus and Bruce Grant. If Grant's frequent co-authors, such as Cyril Clarke, are added to the ridicule list (and I don't know why they wouldn't be), then Wells is well on his way to rejecting all the well-known researchers on this subject. An awesome, and, at face value, an incredibly arrogant, claim. Wells scored a minor coup when a toned-down version of his essay "Second Thoughts about Peppered Moths" was published in The Scientist (13(11), p. 13, May 24, 1999). A longer, unedited version is here. Wells, quoted in "Peppered moths again"
Frack, "RE: Peppered Moths again"
Frack, "Peppered Moths - round 2 (part 1 of 2)"
Frack, "Peppered Moths - round 2 (part 2 of 2)"
Frack, "Peppered moths, round 3"
Frack, "Peppered moths and Creationists"
Frack, "RE: My last word"
The source publication for these maps: Grant, B. S., Cook, A. D. , Clarke, C. A., and Owen, D. F. 1998. Geographic and temporal variation in the incidence of melanism in peppered moth populations in America and Britain. Journal of Heredity 89:465-471. Wells' map (Figure 7-2 from Icons) is more fraudulent than all of the textbook moth photos put together. "Darwin's Finches" are a group of closely-related bird species located on the Galápagos islands. The finches have been studied ever since Darwin made the first collection of these species, but the best-known recent work has been conducted by the husband-and-wife team of Peter and Rosemary Grant and their collegues and students. See Peter Grant's 1986 book Ecology and Evolution of Darwin's Finches and subsequent articles by the Grants, and especially Jonathan Weiner's 1994 book The Beak of the Finch: A Story of Evolution in Our Time for a popular introduction to their work. See also the March-April 2002 issue of American Scientist, "Adaptive Radiation of Darwin's Finches," by Peter and Rosemary Grant. The abstract and some graphics are online. Finches not relevant to Darwin? Wells claims that the finches were not relevant to Darwin's development of evolutionary theory, but Wells is playing fast and loose with the facts here. Wells writes (p. 160) that the finches "are not discussed in [Darwin's] diary of the Beagle voyage except for one passing reference." Wells (p. 162) does include a quote from the two pages that Darwin spent on the finches in The Voyage of the Beagle (Wells, like Weiner, calls it Journal of Researches), but neglects the well-known fact that this quote constitutes the first publicly published hint of evolutionary theory from Darwin (Weiner, 1994). Wells also leaves out mention of the prominent figure that Darwin put in Voyage of the Beagle, showing the differently-adapted beaks of the finches. You can read the quote yourself in the online edition of Voyage of the Beagle. The various legends that have grown up around Darwin and the finches -- similar to Galileo and the Leaning Tower of Piza -- are well addressed in Jonathan Weiner's The Beak of the Finch (p.p. 35-36), minus the patronizing editorializing of Wells. Darwin made the first scientific collection of the finches, so the label "Darwin's Finches" is entirely appropriate. The origin of the finches. Wells' figure 8-1, showing the 14 species of Darwin's finches in a radial pattern, is as usual not very helpful to a reader interested in the truth. Why does Wells not show the finches in their traditional classification into four genera (or five or six; see Sato et al., 2001)? Why, for that matter, does Wells never mention the scientific names of the finches or their division into multiple genera? Perhaps Wells avoids doing this because it would undermine his whole argument that the Grants' conclusion that natural selection (and a few other well-known factors, e.g. isolation) is responsible for the speciation of the finches is making "more of their work than the evidence warrants." (p. 174) Wells of course makes no attempt to propose a better explanation, or even give any reason why their conclusion is wrong. Wells instead focuses on the back-of-the-envelope calculation of Peter Grant in a 1991 that under directional selection a speciation event could occur in 200 years, even though Peter Grant acknowledges in that very publication that he has observed oscillating selection. Wells pretends that the only evidence for natural selection being responsible for speciation is the Grants' direct observations. But this is patently false -- Wells brushes off the extensive character displacement studies by multiple researchers as "indirect" (p. 164); he notes that non-oscillating climate or a long-term trend change in the future might make selection directional, but Wells fails to tell his readers that we have extensive evidence of just this occurring in the past, e.g. ice ages on the scale of hundreds of thousands of years; and Wells fails to note that the oscillating prospects of hybrid finches that the Grants have observed is a result of competition for resources among individuals of species that have divided up the available resources by specializing on food sources (this is character displacement). Wells spends most of the chapter on the Grants' selection and hybridization studies, but he gives barely a hint of The Main Point of the Darwin's Finches, namely that overwhelming evidence indicates that these several genera evolved from a single ancestral species, and that they did so in an adaptive manner. Wells never stops to think of what might happen if a single finch population were to arrive on the originally finch-free Galápagos islands. Currently, the various finch species have evolved to specialize on different resources (different sizes of seeds, etc.). Thus, the divergence of one species into two is impeded by prexisting finch species occupying other niches. But this would not be the case for the first finch population to arrive at the island. Expansion into new niches would be favored because those niches would be unoccupied. Parenthetically, Wells completely botches his description of El Niño on p. 168. Wells describes El Niño as "a disturbance in the winter weather patterns caused by unusually warm air over the Pacific Ocean." ... which is incorrect, as an El Niño event is actually a change in the sea-surface temperature gradient across the Pacific. Normally winds push water westwards along the equatorial Pacific, resulting in the upwelling of cool nutrient-rich water in the eastern Pacific. When the winds weaken, the warm water "sloshes" (speaking very colloquially) eastward, resulting in a cooler west Pacific and a warmer east Pacific, resulting in reduced upwelling (and poorer fishing) in the eastern Pacific and heavy rains in the Galápagos and in southern California (see NOAA, 2001 for a more complete description). "Jonathan Wells and Darwin's Finches" discusses relevant topics in greater detail, including the finches as an inspiration for Darwin, evolution of finch beaks, oscillating selection, and hybridization between finch species. Wells must have been hard up for icons at this point, considering that in the text he cites (p. 185) exactly one textbook that uses the example, and mysteriously leaves this "Icon" out of his textbook evaluation (p. 249). Wells leaves fossil horses and fossil hominids out of this evaluation, also, although for different reasons as they are ubiquitously cited in textbooks. Wells' brief (pp. 181-182, see also 245-246) discussion of "biochemical mutations" (all mutations are biochemical, actually) is another in a long line of IDist attempts to minimize the importance of things like antibiotic resistance (and the corresponding importance that such examples confer to evolutionary biology). Reviews in the mainstream literature, however (e.g. Walsh, 2000) are never so flippant. Walsh (2000) notes that bacteria have 'learned' how to pump out antibiotic molecules, destroy them, and evade them, and discusses several options to new develop new antibiotics, methods of circumventing bacterial resistance, and strategies for extending antibiotic lifespan through a more rational use of drugs. A good discussion of this issue is also found in Weiner's (1994) chapter "The Resistance Movement." Wells tries (on p. 189) to disqualify all of the above evidence for beneficial mutations by demanding what he calls "morphological mutations." Wells brushes off all of the examples of rapid morphological evolution in the literature (e.g. cichlid mouthpart specialization, Hawaiian Drosophila, and so forth), as well as the utterly ubiquitous evidence that changes in genes cause changes in morphology, with a single brazen hand-wave (p. 190) about how the connection between genetic differences and morphological differences is "assumed". Wells claims that there is support for his notions among past biologists and in non-American biologists, but all he can do in the text is cite a postmodern-sounding argument from a historian. In the notes he cites a smattering of sources, e.g. Brian Goodwin (no supporter of extra-genetic inheritance as far as I've heard) and a 1990 article raising the possibility of somatic inheritance, but Wells doesn't even try to build a case; presumably he is just trying to up the doubt meter a bit. Wells also does no serious search for the evidence he says he requires, namely genetic difference leading to beneficial morphological difference; I, however, was able to find an example in 30 seconds on PubMed, dealing with the mapping of genetic loci that correlate with the morphological differences between the flowers of two closely-related species of monkeyflower (Mimulus) -- one species is pollinated by bumblebees, the other by hummingbirds, and the 12 specific morphological differences that allow this are each traced to one or a few loci on the chromosomes (Bradshaw et al., 1998). The only other evidence that Wells cites in favor of his pet theory about how not just evolutionary biologists but geneticists and developmental biologists have got things horribly wrong is an anecdote about a single lecturer he met at a single meeting in Germany in 1999. Based on the vague description it sounds like the lecturer was critiquing oversimplified models of connections between genes and development (and environment, which is also important), but of course anyone in Evo-Devo is well aware of these kinds of complexities. I know that the tolerant teacher should operate under the philosophy that there is no such thing as a dumb question, but Wells manages to ask a fantastically dumb one on page 192. He asks, "If our developmental genes are similar to those of other animals, why don't we give birth to fruit flies instead of human beings?" I don't know if Wells thinks that the Intelligent Designer is continually intervening to keep organisms reproducing after their kind or what, but several answers that would occur to anyone who has done any degree of serious thinking on this issue would include (a) similar genes are not identical genes; (b) small differences in regulation of genes can result in big changes; (c) the action of a gene (or the protein from a gene) will depend on both genetic and environmental context; and particularly (d) different combinations and arrangements of similar genes can result in very different patterns. Any serious discussion would consider these blindingly obvious possibilities in detail. It is evident from the chapter title that Wells can find no particular beef with fossil horses; not only do they not make the list of criteria for textbook evaluation, they don't even make Wells' list of "10 questions to ask your biology teacher" (at "Ten questions to ask your biology teacher about evolution by Wells"). There is an obvious question ("Aren't fossil horses pretty darn good evidence for microevolution adding up to macroevolution"), but it seems unlikely that it will be added to the list. For a detailed introduction to fossil horses see Hunt (1995). What Wells apparently wants people to believe is that the evolution of horses was directed. Wells argues that biologists have vigorously tried to correct the old horse icon (linear evolution) because they are all trying to prove that evolution is undirected. Of course, all anyone can argue scientifically about such metaphysical matters is that the pattern doesn't look like it's going anywhere in particular (just like it doesn't look like the occurence of a tornado is directed in any obvious way). Whether evolution is directed, or not directed, in some cosmic sense is not determinable by science. Wells makes this point when he says that the hypothesis of directed evolution cannot be disproved by the bush-like pattern of evidence. Wells, though, tries to have it both ways, keeping his pet notion of directed evolution unfalsifiable by evidence, but also trying to discern supporting evidence for directed evolution in the fossil horse record. Wells writes (p. 199), "The mere existence of extinct side-branches doesn't rule out the possibility that the evolution of modern horses was directed. A cattle drive has a planned destination, even though some steers might stray along the way." Icons reviewer Jim Dawson called this passage "an incredible analogy that evokes an image of God as a cowboy" (Dawson, 2001). Wells, in his figure 10-2 (p. 200) on the modern fossil horse record, appears to be engaging in the incredibly ironic task of trying to restore an old, discredited icon of evolution! He leaves out most of the extinct side branches (and there are very many of those in any real treatment of horse evolution, see Hunt, 1995), and uses an extra-heavy line to trace the lineage from Hyracotherium to the modern Equus. In the caption he pens the following earthshaking observation: "Note that although the new pattern is not linear, it still shows a continuous lineage connecting Hyracotherium with the modern horse." Of course, there is a similar lineage connecting Hyracotherium to every extinct species, also, except that they all went extinct. In fact, (assuming no special creation of species) every currently living creature will have a continuous lineage back to its ancestors, and every extinct creature, well, won't. If Wells writes another book on science, perhaps he'd like to move into physics and discuss the profound truth that you can't see the sun at night. On page 202 Wells finally gets around to discussing what is probably the topic that really motivates him (and the ID movement), namely the supposed nasty philosophical biases inherent in evolutionary biology. This has been discussed extensively by others elsewhere and has nothing to do with fossil horses and precious little to do with textbooks, so for the most part we will move on. Two points should be made about the words like "random" and "undirected," which Wells digs out of several textbooks (as if the purpose of a science textbook is to be a philosophical treatise suitable for word-by-word analysis for conceivably debatable points). Readers should ask themselves: is the weather "random" and "undirected", or not? If yes, according to Wells you are subscribing to "materialistic philosophy in the guise of empirical science" and we should expect Wells to write his next book about the dogmatic materialism of meteorologists (and statisticians, etc.). Along these lines, it is worth pointing out that the first "random and undirected" quote that Wells brings up (p. 206) is from a textbook by known Christian Kenneth Miller, a devout Catholic who is the leading biologist in the anti-ID movement (see his website and his book, Miller (1999), which very sympathetically discusses the religious issues surrounding the modern evolution debate, including the anti-religious tendencies of several biologists that IDists love to quote). (1) Wells says "Most modern biology textbooks do not even mention Piltdown" (p. 217). Interviews are different from the body of the text, and it is precisely the place where scientists giving their personal views is perfectly appropriate. And finally, Gould's statement is in direct conflict with the ape-to-man icon that Wells purports to be critiquing in this chapter, and which Wells put on the cover of Icons of Evolution! It seems likely that Wells couldn't find even a single modern textbook that contained the "Ape-to-Man" icon -- if they did, Wells would be sure to include them (it is possible than an occasional textbook includes the icon to criticize it). I myself distinctly remember my general biology professor putting up such an "Ape-to-Man" icon, and informing the class in no uncertain terms that this was an inaccurate and outdated view of human evolution. The professor then put up some of the numerous spoofs and cartoons of the icon that she had collected, to make the point, and then put up the modern view, which is that human evolution follows the branching pattern so common elsewhere in evolution. Unlike in his horse chapter, Wells makes no attempt to show readers this new, more accurate, icon. For that matter, Wells spends precious little of this chapter discussing the actual modern fossil evidence. Pages 212-214 are on Darwin's opinions in Descent of Man, pages 214-216 are about the interpretation of Neanderthal fossils in the late 1800's, and pages 217-219 are about Piltdown man, which it seems no creationist book on evolution is complete without; see the Piltdown Man webpage for extensive references on the topic. Wells actually gets around to discussing an important fossil skull for a bit on page 219 (1470, a likely Homo habilis, see "Skull KNM-ER 1470" for a picture and links), but then hares off for six pages interpreting other peoples' interpretations of the interpretations of anthropologists of the hominid fossil record. Nowhere does Wells actually give the reader any specific idea of what the fossils are like, what their measurements and dates are, etc. Fortunately, an excellent resource on the web allows you to examine the pictures yourself and draw your own conclusions (The Fossil Hominids FAQ). Wells (p. 220) quotes Henry Gee writing that all the evidence for human evolution "between about 10 and 5 million years ago [...] can be fitted into a small box." But appallingly, Wells somehow fails to inform his readers that plenty of fossils exist from 5 million years ago onward, which, as Eugenie C. Scott (2001) pointed out in her review of Wells in Science, "is when humans evolved." Using Wells' standards, a witness at a murder trial would be permitted to say that he saw nothing untoward between noon and six, and yet leave out the fact that he saw a murder at seven. Wells focuses on controversies surrounding interpretation, but why worry about that when you can see the fossils for yourself online and make up your own mind? Go here: "Prominent Hominid Fossils". 12. Conclusion -- Jonathan Wells' book: Science or Myth? This concludes the tour of Jonathan Wells' Icons of Evolution. At the end of Icons, Wells includes an Appendix where he "grades" ten recent biology textbooks, giving most of them an F (Campbell et al. 's Biology -- probably the most popular college biology text, by the way -- comes out on top with a D+). Wells then includes "warning labels", which look suspiciously like cigarette warning labels, which Wells thinks should be put in textbooks. But as we have seen, in every single case, the actual biological experts in their specific fields of expertise in fact agree that the actual evidence in their field supports modern evolutionary theory. Furthermore, many of these scientists have felt sufficiently strongly about this that they have published critiques of creationist misinterpretations of their work. Many of these scientists have felt sufficiently victimized by Wells to write specific rebuttals of him. Wells might try to argue that he was talking about the "icons" rather than the general evidence in the field, but still his argument fails. In the cases of the Miller-Urey experiment, Darwin's tree of life, vertebrate limb homology, Archaeopteryx, peppered moths, and Darwin's finches, a fair investigation of the literature has revealed that Wells has no case, and that these "Icons" are fully deserving of inclusion in biology textbooks. In the cases of the four-winged fruit fly, fossil horses, and fossil hominids, we discover that Wells has not even included these cases in his textbook "evaluation" criteria -- perhaps inclusion of these in the criteria would have raised the textbook grades too much. In any case it is evident that Wells' problems with the four-winged fruit fly, fossil horses, and fossil hominids are not really with textbooks, but with extraneous issues -- the real issues in these cases are Wells' bizarre views about the relationship between genes and development, and his paranoia that biology textbooks are pushing the view that life is meaningless and purposeless. I will have a few final words on this subject in a moment, as it is an oft-recurring theme in antievolutionist writings. The single "icon" where Wells has some success is with Haeckel's embryos: the fraction of textbooks that use Haeckel's drawings should replace them with photographs or more accurate drawings. But even here, the very authority that Wells cites against Haeckel's embryos, namely M.K. Richardson, has clearly stated that the actual facts of embryology do indeed support evolutionary theory, contradicting Wells' interpretation. As Wells' argument is explicitly based on the views of the experts in their fields, then Wells, to be self-consistent, would have to concede that he has only scored a point against certain textbooks, and not against the theory of evolution. However, let us be generous and grant Wells a full point for the Haeckel's embryos case. On the other nine "icons," though, Wells has come up empty-handed. So Wells has earned a 1 out of 10. Even a generous curve would not save Wells from a flunking grade. One would think that a guy with a Ph.D. from Berkeley would have done better. I have only had time to refute the major arguments that Wells raises in Icons; unfortunately this only scratches the surface. A truly thorough refutation would take a full book, and one rather longer than Icons at that. I fear that I have not given readers a sufficient impression of just how deceptive and devious a writer Jonathan Wells is. Through most of the book, virtually every sentence contains some sort of illegitimate slant, whether quoting a scientist out of context, or leaving out crucial pieces of information, or presenting a nonexpert opinion as an authoritative one, or simply spewing out unsupported exclamations of doubt, derision, and "dogmatic Darwinism!" Icons is an impressive bit of propaganda, and frankly, Jonathan Wells is probably the slickest operator that the antievolution movement has ever produced. His book, packed with quotes and authoritative declarations, mangling topic after topic in rapid succession, is a calculated attempt to overwhelm the reader by sheer diversity of material; even the biologically educated reader is not likely to have the necessary background to spot all of Wells' tricks. Writing this review required a substantial amount of research and help from numerous veteran creationism/ID debaters (see Acknowledgements). But Wells' cleverest move of all was to attack textbooks rather than taking on the science directly. The all too common response, even from biologists, has been along the lines of "Well, sure, textbooks have problems, but this doesn't affect the theory of evolution." This is falling into Wells' trap. This review has shown that the topics discussed actually do belong in textbooks, and do constitute good evidence for evolution, according to the evidence and according to the experts that Wells claims for support. The book Icons of Evolution is the real scientific travesty. The central irony of Icons of Evolution is that, while biologists no longer accept and indeed actively debunk the "March From Ape-to-Man" image on the cover, it appears to be closer to something that Wells believes. He apparently does not deny common ancestry of humans with animals; on page 223 (in the middle of six pages of selective quoting about the subjectivity and disagreements in paleontology) Wells admits, "Obviously, the human species has a history. Many fossils have been found that appear to be genuine, and many of them have some features that are ape-like and some that are human-like." It seems like Wells' next sentence ought to be "Sorry for all the trouble, folks, I guess I got a little carried away with this book...", but of course it isn't. As far as anyone can tell, Wells has the idea that "the human species was planned before life began, and that the history of life is the record of how this plan was implemented" (see his essay "Evolution and Design"). In other words, to Wells, evolution (with some unspecified touch of ID) was marching towards a goal of humans, just like the Apes-to-Man icon on the cover of Icons of Evolution! It seems likely that the insertion of this metaphysical idea into science education, as science, is Wells' real goal. But is it really necessary to force theology into science? As we saw in the fossil horses chapter, Wells imputes far more metaphysical significance to words such as "random" and "undirected" than they actually have scientifically. Scientifically, evolution is described as "random" and "undirected" in the same way that the weather, earthquakes, and numerous other natural processes are described as "random" and "undirected." (For that matter, evolution is also predictable in a way similar to weather and earthquakes.) Does describing the weather, or evolution, as somewhat "random" really have the offensive metaphysical implications that Wells thinks? For an alternative model, we should investigate the central quote of Wells' last chapter. Wells is severely offended by Dobzhansky's statement "Nothing in biology makes sense except in the light of evolution" and decries all of the evil materialist-naturalist metaphysics he sees in it. But Wells, as usual, fails to give his reader crucial information: Wells fails to say anything about Dobzhansky's actual metaphysics: Dobzhansky was a life-long Russian orthodox Christian. Here are some more quotes from the very same article by Dobzhansky (1973), which is available online at "Nothing in Biology Makes Sense Except in the Light of Evolution". "It is wrong to hold creation and evolution as mutual exclusive alternatives. I am a creationist and an evolutionist. Evolution is God's, or Nature's, method of creation. Creation is not an event that happened in 4004 B.C. ; it is a process that began some 10 billion years ago and is still under way." This article was composed with valuable help and comments from Bruce Grant, Bob Hagen, Wesley Elsberry, Michael Hopkins, Burt Humburg, Ian Musgrave, Pete Dunkelberg, Jesse, igkappa, theyeti, and several others. Amundson, R. (2001). "Homology and Homoplasy: A Philosophical Perspective." Produced by Nature Publishing Group. Accessed online on 1/15/2002. Baldauf, S. L., Roger, A. J., Wenk-Siefert, I. and Doolittle, W. F. (2000). "A kingdom-level phylogeny of eukaryotes based on combined protein data." Science, 290(5493): 972-977. Bradshaw, H. D., Otto, K. G., Frewen, B. E., McKay, J. K. and Schemske, D. W. (1998). "Quantitative trait loci affecting differences in floral morphology between two species of monkeyflower (Mimulus)." Genetics, V149(N1): 367-382. Brandes, J. A., Boctor, N. Z., Cody, G. D., Cooper, B. A., Hazen, R. M. and Yoder, H. S. J. (1998). "Abiotic nitrogen reduction on the early Earth." Nature, 395(6700): 365-367. Campbell, N. A., Reece, J. B. and Mitchell, L. G. (1999).Biology. Menlo Park, Calif., Benjamin Cummings. Cavalier-Smith, T. (2001). "Obcells as proto-organisms: Membrane heredity, lithophosphorylation, and the origins of the genetic code, the first cells, and photosynthesis." Journal of Molecular Evolution, V53(N4-5): 555-595. Cavalier-Smith, T. (2002). "The neomuran origin of archaebacteria, the negibacterial root of the universal tree and bacterial megaclassification." Int J Syst Evol Microbiol, 52: 7-76. Chyba, C.(1998). "Origins of life: Buried beginnings." Nature, 395(6700): 329-330. Cohen, J. (1995). "Novel center seeks to add spark to origins of life." Science, 270(5244): 1925-1926. Collins, A. G. and Valentine, J. W. (2001). "Defining phyla: evolutionary pathways to metazoan body plans." Evol Dev, 3(6): 432-442. Conway Morris, S. (1998). The Crucible of Creation: The Burgess Shale and the Rise of Animals. New York, Oxford University Press. Cook, L. M.(2000). "Changing views on melanic moths." Biological Journal of the Linnean Society, 69: 431-441. Copley, J. (2001). "The story of O." Nature, V410: 892-864. Davis, W. L. and McKay, C. P. (1996). "Origins of life: a comparison of theories and application to Mars." Orig Life Evol Biosph, 26(1): 61-73. Dawson, J. (2001). "Book review: Icons of Evolution -- Science or Myth?" HMS Beagle(97). Dobzhansky, T. (1973). "Nothing in biology makes sense except in the light of evolution." American Biology Teacher, 35: 125-129. Engel, M. H. and Macko, S. A. (2001). "The stereochemistry of amino acids in the Murchison meteorite." Precambrian Research, V106(N1-2): 35-45. Espiritu, D. J., Watkins, M., Dia-Monje, V., Cartier, G. E., Cruz, L. J. and Olivera, B. M. (2001). "Venomous cone snails: molecular phylogeny and the generation of toxin diversity." Toxicon, 39(12): 1899-1916. Grant, B. S. (1999). "Fine tuning the peppered moth paradigm." Evolution, 53(3): 980-984. Grant, B. S. and Clarke, C. A. (2000). "Industrial Melanism." Encyclopedia of Life Sciences. Grant, B. S., Owen, D. F. and Clarke, C. A. (1996). "Parallel Rise and Fall of Melanic Peppered Moths in America and Britain." Journal of Heredity, V87(N5): 351-357. Grant, B. S., Cook, A. D., Clarke, C. A. and Owen, D. F. (1998). "Geographic and temporal variation in the incidence of melanism in peppered moth populations in America and Britain." Journal of Heredity, V89: 465-471. Hunt, K. (1995). "Horse Evolution." Produced by Talkorigins Archive. Accessed online on 1/15/2002. Ji, Q., Norell, M. A., Gao, K. Q., Ji, S. A. and Ren, D. (2001). "The distribution of integumentary structures in a feathered dinosaur." Nature, V410(N6832): 1084-1088. Kasting, J. F. and Brown, L. L. (1998). "The early atmosphere as a source of biogenic compounds." in The Molecular Origins of Life: Assembling Pieces of the Puzzle. Andre Brack. Cambridge, Cambridge University Press: 35-56. Kelley, D. S., Karson, J. A., Blackman, D. K., Fruh-Green, G. L., Butterfield, D. A., Lilley, M. D., Olson, E. J., Schrenk, M. O., Roe, K. K., Lebon, G. T. and Rivizzigno, P. (2001). "An off-axis hydrothermal vent field near the Mid-Atlantic Ridge at 30 degrees N." Nature, 412(6843): 145-149. Knoll, A. H. and Carroll, S. B. (1999). "Early Animal Evolution: Emerging Views from Comparative Biology and Geology." Science, 284(5423): 2129 - 2137. Kral, T. A., Brink, K. M., Miller, S. L. and McKay, C. P. (1998). "Hydrogen consumption by methanogens on the early Earth." Orig Life Evol Biosph, 28(3): 311-319. Majerus, M. E. N. (1998). Melanism: evolution in action. Oxford ; New York, Oxford University Press, pp. xiii, 338. Majerus, M. E. N. (1999). "Personal communication to Donald Frack." Produced by Calvin College. Accessed online on 1/15/2002. Majerus, M. E. N. (2000). "A bird's eye view of the peppered moth." Journal of Evolutionary Biology, 13: 155-159. Miller, K. R. (1999). Finding Darwin's God: a scientist's search for common ground between God and evolution. New York, Cliff Street Books, pp. xiii, 338. Monmonier, M. (1996). How to Lie with Maps. Chicago, University of Chicago Press, pp. 1-207. Murakami, T., Utsinomiya, S., Imazu, Y. and Prasad, N. (2001). "Direct evidence of late Archean to early Proterozoic anoxic atmosphere from a product of 2.5 Ga old weathering." Earth Planet. Sci. Lett., 184(2): 523-528. NOAA (2001). "What is an El Niño?" Produced by NOAA. Accessed online on 1/15/2002. Pennock, R. T. (1999). Tower of Babel: the evidence against the new creationism. Cambridge, Mass., MIT Press, pp. xviii, 429. Perkins, S. (2001). "New type of hydrothermal vent looms large." Science News, 160(2): 21. Peterson, K. J. and Eernisse, D. J. (2001). "Animal phylogeny and the ancestry of bilaterians: inferences from morphology and 18S rDNA gene sequences." Evol Dev, 3(3): 170-205. Raff, R. A. (2001). "The creationist abuse of evo-devo." Evol Dev, 3(6): 373-374. Rasmussen, B. and Buick, R. (1999). "Redox state of the Archean atmosphere: Evidence from detrital heavy minerals in ca. 3250-2750 Ma sandstones from the Pilbara Craton, Australia." Geology, 27(2): 115-118. Richardson, M. K. (1998). "Letter." Science, 280(5366): 983. Richardson, M. K., Hanken, J., Gooneratne, M. L., Pieau, C., Raynaud, A., Selwood, L. and Wright, G. M. (1997). "There is no highly conserved embryonic stage in the vertebrates: implications for current theories of evolution and development." Anat Embryol, 196: 91-106. Sato, A., Tichy, H., O'HUigin, C., Grant, P. R., Grant, B. R. and Klein, J. (2001). "On the origin of Darwin's finches." Molecular Biology and Evolution, 18(3): 299-311. Scott, E. C. (2001). "Icons of evolution - Science or myth? Why much of what we teach about evolution is wrong, (2000) (English) by J. Wells." Science, V292(N5525): 2257-2258. Segre, D., Ben-Eli, D., Deamer, D. W. and D., L. (2001). "The lipid world." Orig Life Evol Biosph, 31(1-2): 119-145. Theobald, D. (2002a). "29 Evidences for Macroevolution." Produced by TalkOrigins. Accessed online on 1/20/2002. Theobald, D. (2002b). "29 Evidences for Macroevolution: A Response to Ashby Camp's "Critique"." Produced by TalkOrigins. UCMP (2000). "Metazoa: Fossil Record -- Chart of First Appearances of Metazoans." Produced by University of California Museum of Paleontology. Accessed online on 10/10/2001. Von Damm, K. L. (2001). "Lost City found." Nature, 412(6843): 127-128. Walsh, C. (2000). "Molecular mechanisms that confer antibacterial drug resistance." Nature, V406(N6797): 775-781. Weiner, J. (1994). The beak of the finch: a story of evolution in our time. New York, Knopf: Distributed by Random House, pp. x, 332.
Zimmer, C. (2001). Evolution: The Triumph of an Idea. New York, Harper Collins. Nic Tamzek is the pen name of Nicholas Matzke. It may be objected here that Sargent (of the paper Sargent, Millar, and Lambert, 1998, "The "classical" explanation of industrial melanism: assessing the evidence," in Evolutionary Biology, 30:299-322), is a moth researcher. This is true, but most of Sargent's work appears to be on moth species other than peppered moths, such as the genus Catocala. In genera such as Catocala the situation regarding industrial melanism and selection appears to be different. Majerus barely cites Sargent at all in his detailed review of peppered moths in Industrial Melanism: Evolution in Action. Work by H. B. D. Kettlewell suggested that selective predation was the main determining factor in B. betularia, and probably in a wide range of other examples as well. His evidence consisted of surveys which put the correlation between melanic frequencies and urbanization on a quantitative basis (Kettlewell, 1958, 1965), demonstration that wild birds would eat the moths if they found them (Kettlewell, 1955), and the now famous demonstration that birds discovered most readily the forms least like the daytime backgrounds on which they rested (Kettlewell, 1973; Rudge, 1999). Colour of resting background and heterogeneity due to epiphyte cover, appeared to affect relative visibility. Selective predation became the accepted explanation for the rise in morph frequency (Majerus, 1998). Since then, further evidence has been collected. Over the last two decades industrial environments have become cleaner and melanic frequencies lower (Clarke et al., 1990; Mani & Majerus, 1993; Grant et al., 1998; Cook et al., 1999). There has also been some revision of interpretation. It has been shown that experiments designed to detect and measure selective predation were carried out in places where moths were not usually likely to rest if left to their own devices (Mikkola, 1979, 1984; Liebert & Brakefield, 1987; Grant & Howlett, 1988; Majerus, 1998). There is by no means a one-to-one relation between reversion of morph frequency and reversion of epiphyte pattern (Bates et al., 1990; Grant et al., 1998). These findings cause us to reexamine the story, but they do not obviously require a radical revision. Estimations of selection appear to show a correspondence between fitness and frequency. The correlation between the condition of the sites used in experimental studies and those actually used by the insects is likely to be high. Further lines of experimentation are suggested, but no previously held view has been overturned. The general tone of commentary on Biston studies has, however, altered. From being treated as a vivid demonstration of natural selection (Luria, Gould & Singer, 1981, provide an excellent example) and good field experimentation (Hagen, 1999), the work concerned has come to be viewed with suspicion (Sermonti & Catastini, 1984; Cherfas, 1987). In a recent review by Sargent et al. (1998) almost every reference to past work is predicated by expressions of doubt, reworking ground covered by Lambert et al. (1986). When discussing predation experiments they conclude ". . . there seems to be no clear and consistent relationship between the relative survivorship of different morphs . . . and the frequencies at which the morphs naturally occur in different environments". Coyne (1998) adopts a similar tone, saying that the flaws in the work are too numerous to list. This has led to some alarming reporting, such as Matthews (1999) in the Daily Telegraph newspaper in Britain, who refers to a "series of scientific blunders" and states that the experiments are "now thought to be worthless". This article in turn was linked in its electronic web version to the Creation Science home page. Recent commentaries are quoted on more than one anti-evolution web site. A balanced account, which shows the strength of the data in the face of recent criticism, has been provided by Grant (1999). I propose here to illustrate the predation results, which Sargent et al. did not do when they criticized them, and to consider why a radical change in view should have occurred. In industrial melanism of Biston betularia, both the original increase and recent decline in frequency of melanics are striking examples of natural genetic change closely related to change in the environment. They must have a selective basis. The experiments demonstrate selective removal. There is a general correspondence of morph frequency and appearance of backgrounds likely to be adult resting sites. None of this is in doubt. The evidence is, however, limited in two ways. First, non-visual components of selection have not been investigated directly in this species. Analysis of segregating progenies suggests pre-adult survival differences (Creed et al., 1980) with carbonaria homozygotes having an advantage over other morphs. Non-visual selection is certainly indicated in studies of other melanic moths (Bishop & Cook, 1980), but we have little more idea than Leigh (1911) how it may operate. Secondly, the experimental and observational evidence cannot on its own carry the burden of a particular view of evolution, such as found in Oxford ecological genetics. Smocovitis (1996) describes how the view of the [Neodarwinian Modern] Synthesis with which it was associated came to seem 'constricted' to many students of evolution, and to generate a reaction in favour of more complex models; the last three decades have been a period of lively debate and controversy. Distrust of the evidence of industrial melanism may sometimes arise from a wish to question how the example relates to more complex levels of evolutionary theory. Criticism on these grounds is misplaced, and can attract the attention of advocates of creationism who see an evolutionary field in apparent disarray. The Biston story continues to provide an exceptional opportunity to analyse a pattern of selection. It should be pursued, along with study of other species with related but different responses to environmental change. It should also be pointed out that while Sargent appears skeptical of some of the evidence for the classical peppered moth story, he has no problem with the general idea of cryptic (camouflage) coloration in moths; he writes that the classical explanation is "eminently reasonable", and furthermore he has himself published on crypsis in moths. A very interesting webpage on Sargent's observation of the behavior of another moth species, Catocala relicta, is online. Notably, the evidence is against this kind of "find a matching background" behavior in peppered moths. Peppered moths appear to just look for shaded spots (such as beneath trunk-branch joints), whether or not the moth is dark or light colored. As Sargent et al. grudgingly acknowledge, this is actually a good thing for the classic selection-by-bird predation story for peppered moths, as picking-matching-background behavior would actually constitute negative feedback that would weaken the effects of natural selection (i.e., as tree surfaces got darker, the moths would just behaviorally move to lighter surfaces that matched their camouflage). Regarding Jerry Coyne's (1998) review of Majerus' book Industrial Melanism in Nature, readers should not allow Coyne's excellent reputation as a nonsense debunker to dissuade them from recognizing that Coyne's review contains at least one glaring mistake: namely, Coyne writes, "Majerus notes that the most serious problem is that B. betularia probably does not rest on tree trunks -- exactly two moths have been seen in such a position in more than 40 years of intensive search. The natural resting spots are, in fact, a mystery." However, Coyne somehow fails to mention that in the very next paragraph of Majerus' book (pp. 121-122), Majerus cites his own data on the natural resting places of moths -- some 47 moths -- not a lot, but far more than two. This data, listed in Table 6.1 of Majerus' page 123, indicates that peppered moths in fact rest in diverse locations (12 on tree trunks, 20 on "trunk-branch joints", and 15 in tree branches). Similar percentages are found in Table 6.2 on a larger dataset of resting moths found near traps. All of this serves to illustrate that Coyne's opinion on the classical peppered moth explanation is by no means definitive. Wells, of course, gives readers very little of the above complexity of the true situation, and instead quotes the juicy bits of Coyne's review. Wells' own treatment of moth resting locations appears to be deliberately deceptive. Wells refers to Clarke et al's (1985) reference to the two moths collected (Clarke was basis for Coyne's remark also), and goes on to selectively quote two additional papers on the topic of resting locations, as well as Majerus' book, to support the notion that moths don't rest on tree trunks. In the notes (p. 304) Wells buries a reference to Majerus' book amongst the other papers, and refers readers only to page 116 of Majerus' book, when in fact the section "The resting behaviour of peppered moths", including the tables, is found on pp. 121-123. Why does Wells not just put the numbers, which are the best anyone has, in the text for his audience to read?